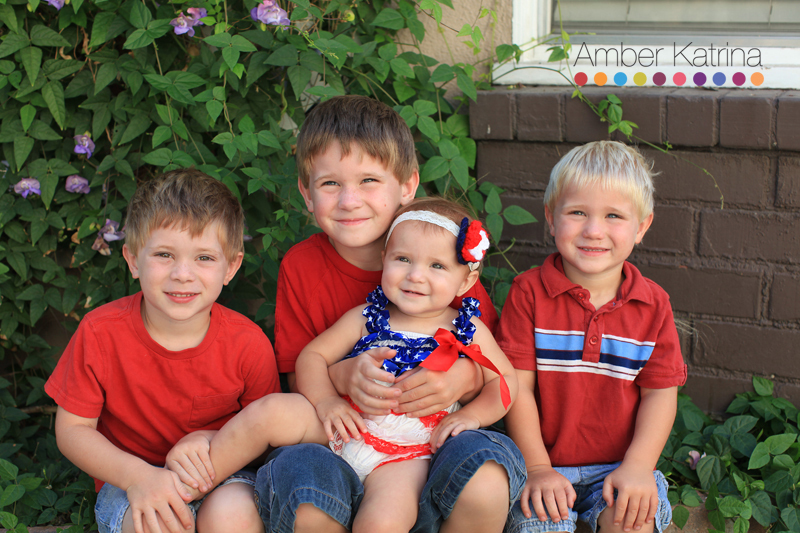 Happy Independence day from our family to yours! We will be having a barbeque, swimming and setting off small fireworks with our kids. What do you have planned today? Our boys love Nora, always wanting to hug and kiss her, which actually bugs her sometimes when she is trying to do something else. She is 11 months now and crawling all over the place. She likes to pull up to standing and cruise, but no walking yet. I think she’s a bit more cautious than our boys were, at this age they were running around already! 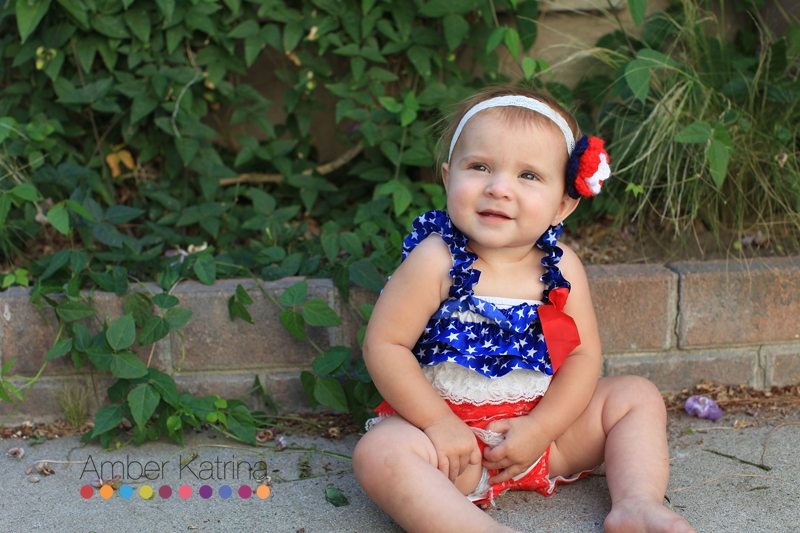 I think she is so cute in this little 4th of July ruffle romper.